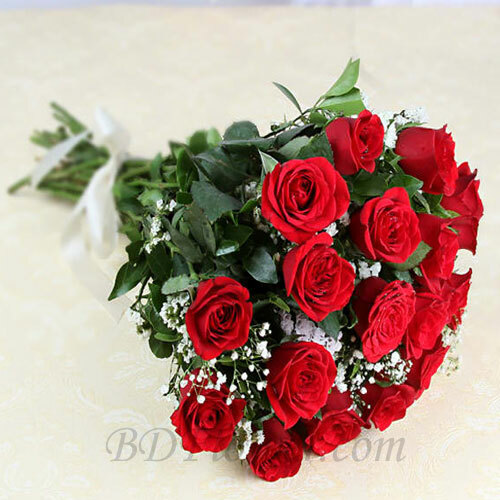 Do you want to surprise your special someone in special way then gift this beautiful bouquet of red roses. This red roses can make smile face of your special someone. There is no color that expresses admiration better than red. This bouquet of 18 pink roses is a wonderful presentation to bring delight to the eyes and an unceasing smile on the lips of your someone special.